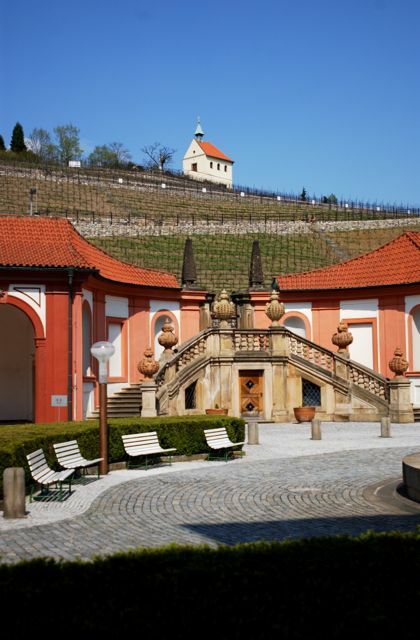 A wine stroll in Prague, where viticulture abounds for those who savour the fruit of kings. Few visitors to Prague realize just how much wine is a part of Czech culture. Upon closer observation, it is possible to see the remains of once- thriving vineyards, and one cannot help but recognize the many shops and "Vinotéka" that specialize in wine alone. We will be your guide to some carefully selected Vinotéka, where the ambiance is as though the Czech capital was the world's leader in wine appreciation. These cozy dens are replete with long lists of the distinctive varieties and regions on offer, and host to special archives for regular guests. These are not cavernous halls over-filled by the flocks of tourists. Instead, they are more often small spaces that lend an intimacy to an evening of extraordinary palatability.